2014 was off with a bang for Welsh boxing when Matchroom Sport and Sky television came to the country at the start of February. The bumper nine-bout show had something at every level from European titles to domestic eliminators; Fight of the Year candidates, showcased Olympians and tasty undercard trade upsets. Over 5,000 fans turned out at Cardiff’s Motorpoint Arena and none were disappointed as Welsh boxing was ‘Reloaded’ for the rest of the year. In March, there were two Welsh shows in the space of a week – a rare occurrence given that there’s barely ever two shows in two months. On the first show, a Steve Robinson promotion in Newport, the native Jerome Samuels (5-5, 1KO) would rematch and out-point Blackwood’s Dai Jones. The victory saw Samuels even the win-loss columns of his record and take the same Welsh light-middleweight title that his father Paul had won 16 years earlier. The 22-year-old would later join the same gym as Jones, Tony Borg’s St Joseph’s Boxing Club. Later that month, Carmarthen’s evergreen veteran Kevin Evans returned from retirement to take his tenth Welsh amateur title. Evans, now boxing out of the Prizefighter Boxing Club that he runs himself, equaled a record set by fellow super-heavyweight Kevin McCormack. 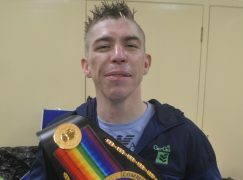 In the final of the Welsh Championships, Evans stopped Merthyr Tydfil’s Aled Diplock in two rounds. The 37-year-old has not fought since and appears to have retired after an unforgettable career that’s included three Commonwealth Games and one World Championships medals. In May, Welsh boxing was treated to one of the most impressive debuts seen on the circuit as Maerdy’s middleweight Alex ‘Bad News’ Hughes (2-0, 2KO) was hardly hit against Southampton’s tough Mark Till. Hughes’ fight, his first for over two years, opened Matchroom Sport’s ‘The Second Coming’ show and the eyes of many who were yet to hear of him. Hughes would eventually stop the much bigger Till in the fourth and final round at Cardiff’s Motorpoint Arena, having not scored a knockout in over 50 fights as an amateur. The run up to the Commonwealth Games was blighted by bad management from Wales’ amateur authorities but the depleted squad of nine soldiered on un-affected. Boosted by support from the home fans in Glasgow, a spirited Team Wales annexed five bronze medals. Splott’s light-heavyweight Nathan Thorley scored two knockouts to reach the semi-finals before defeat, while an emotional captain Ashley Williams won the hearts of the locals before bowing out in the light-flyweight division. Cardiff’s lightweight Joe Cordina faced the toughest of opposition en-route to the semi-finals but he got there, only to be out-worked after an exhausting week of fighting. Newport’s Sean McGoldrick was unlucky to be eliminated against the eventual gold medalist as a cut ended their bout early but the bantamweight still made history with back-to-back Commonwealth Games medals. Bargoed’s middleweight Lauren Price was within a whisker of a final, only to be given a standing count in the last seconds to lose her semi-final but she still made history as Wales’ first female medalist at a major tournament. Merthyr Tydfil has seen a new chapter of its illustrious boxing history begin as Sanigar Events have recommitted to Welsh boxing, promoting three shows in the town between March and September. With two of the shows being televised on Eurosport, Chris and Jamie Sanigar have produced a platform for international exposure, which has usually been headlined by a Welsh title fight. Opportunities have opened for the likes of Dai ‘Dutters’ Davies (12-23-2, 2KO), Tony ‘The Terrier’ Dixon (5-0, 1KO) and Dorian Darch (8-4, 1KO) who, as the past has shown us, would otherwise be up against the odds on the road and in the away corner. 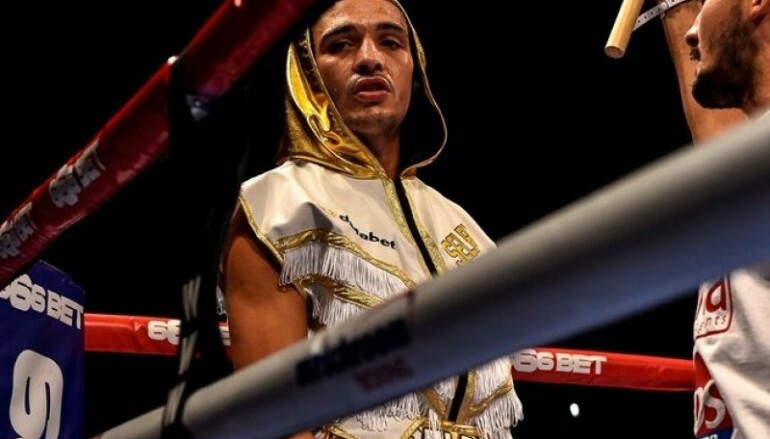 In October, ‘Sugar’ Lee Selby (20-1, 8KO) started a new chapter for Welsh boxing at world level with a near perfect ninth round stoppage of Australia’s previously unbeaten Joel Brunker. Offensively and defensively, Selby shined and demonstrated his danger to any featherweight in the world. The IBF world title eliminator has seen the Barry Town boy made Mandatory Challenger for Evgeny Gradovich’s belt and Matchroom Sport’s Eddie Hearn is keen to host the fight in Wales. Selby’s assault on the global scene has seen him standout as Welsh boxing’s brightest light and it’ll only get brighter if he can become Wales’ third featherweight and twelfth overall world champion. With Team GB Development Squad member Zack Davies turning professional, the 64KG light-welterweight category is wide open in Wales. In November, Pontypridd’s Lance Cooksey and Trelewis’ Gavin Gwynne tasted one another’s arsenal as they tore lumps out of each other in one of the season’s most memorable amateur fights. Cooksey won the contest in Mountain Ash courtesy of a Unanimous Decision and the pair will now prepare for the Welsh Championships in March where they may meet again. At the end of November, Welsh boxing’s previously best kept secret collected his first career title with ease as Liam ‘The Machine’ Williams (12-0-1, 7KO) blasted Michael Lomax in less than three minutes to collect the Commonwealth belt. With the retirements of Gavin Rees and Jason Cook, Welsh boxing was looking a bit thinner than usual at title level but Williams’ inclusion was a well needed boost heading in to the new year. The Rhondda light-middleweight, managed by Gary Lockett and promoted by Frank Warren, has shown all the signs that he has a long-term future at title level and at higher levels, too. On the same show in London, Blackwood’s Craig Evans (13-0, 3KO) clearly out-pointed the once beaten Scottish danger man, Ronnie Clark. The St Joseph’s Boxing Club super-featherweight had for too long treaded water, beating opposition far from his equal but in the step up he wanted, Evans produced a performance his talent had been promising for some time. 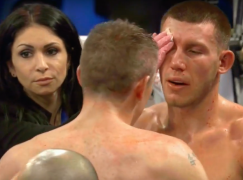 Less than a month later, Queensberry Boxing announced that the southpaw would challenge the world rated Liam Walsh for the British and Commonwealth titles in February.